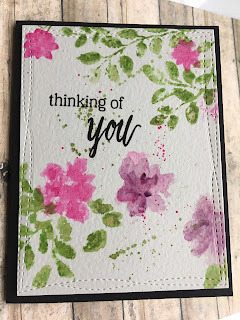 I've just finished making the first of a few card sets I'm getting ready as door prizes for an event and thought I'd play along with the Altenew May Inspiration Challenge. 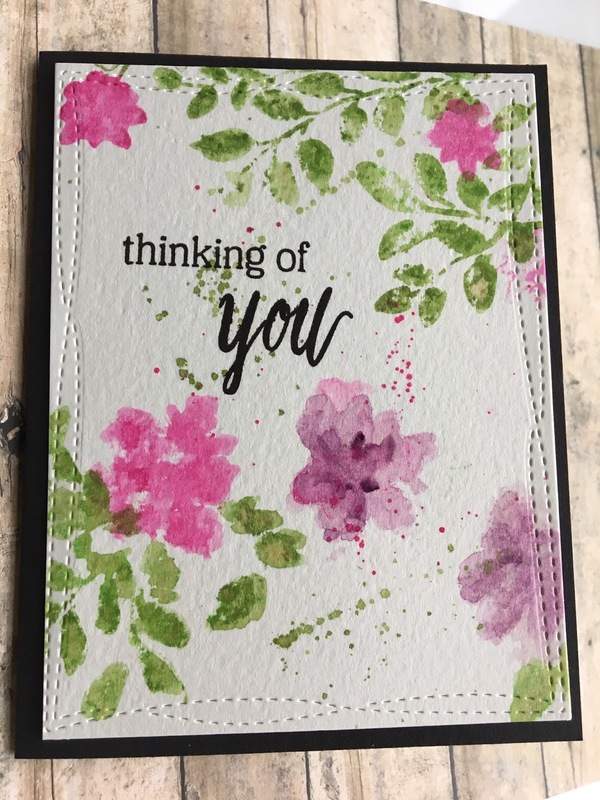 To start these A2 cards out I took four watercolor panels and then used various leaves from the Floral Shadow stamp set, trying to match the exact colors in the challenge inspiration. 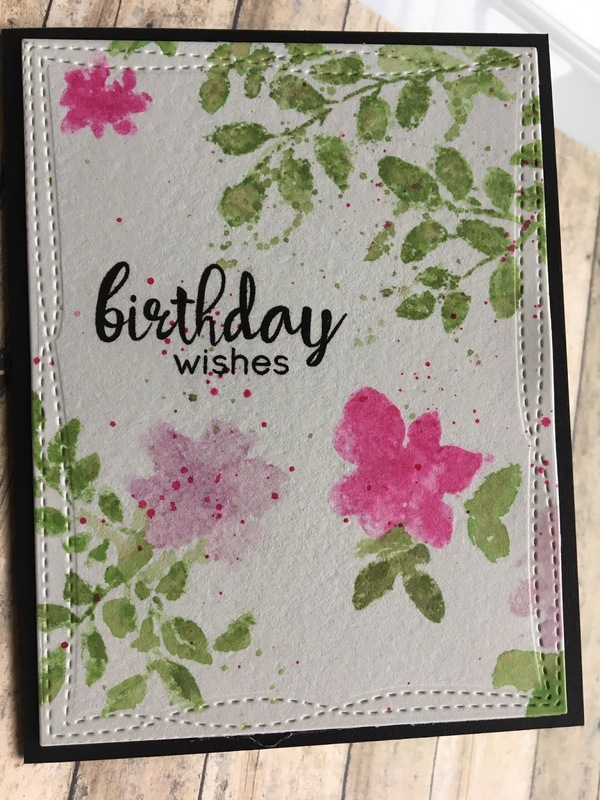 I had to improvise for the purple-ish color and painted the stamp with one of the colors from the Daniel Smith dot sheet. 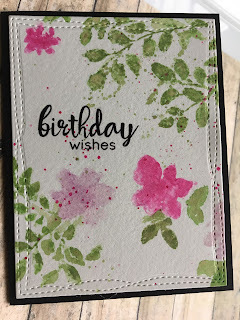 I stamped various flowers with distress inks and spritzed the stamps with water before stamping. Once dried I did some splatters in the green and pinks. 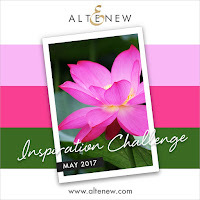 How wonderful to make this gorgeous design into a set, and each one is still unique! 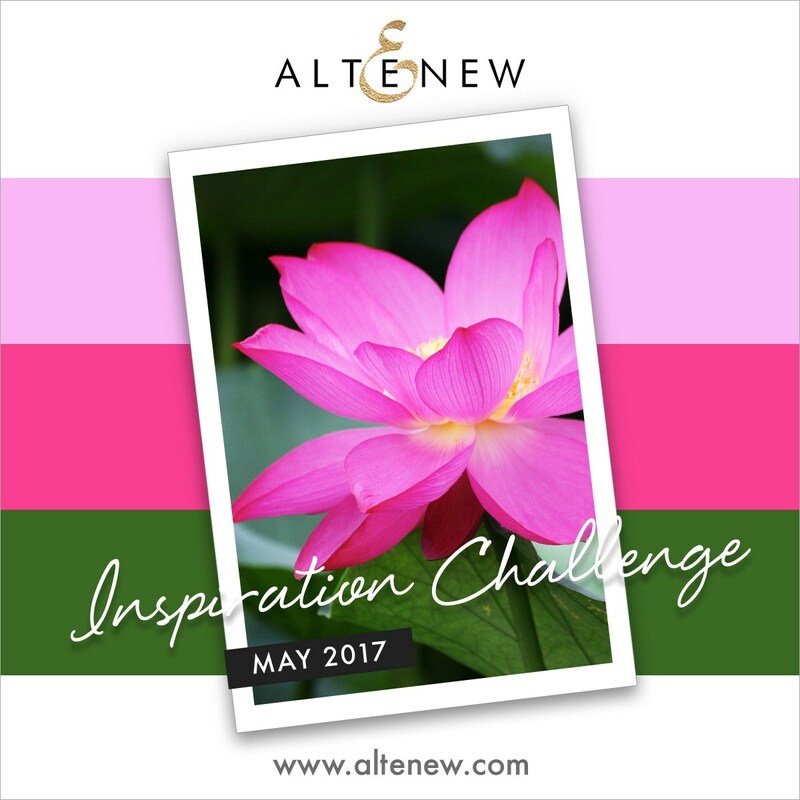 Thanks so much for playing Altenew May Inspiration Challenge! FABULOUS! Oh, wow, thank you, Virginia, that's high praise coming from YOU!